Once, at a fashion show, I was given a Lanvin notebook, adorned with Alber Elbaz sketches. His playful designs put a smile on my face every time I pulled it out of my handbag. When I'd filled it up, I planned to repurchase - till I found it on Net-A-Porter for almost €50, and nearly fell over. 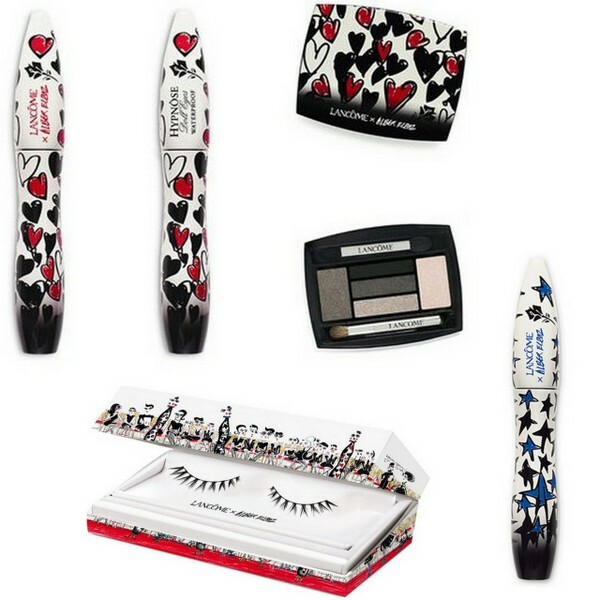 The hotly anticipated collection, which hit stores this weekend, focuses on the eyes and includes Hypnôse mascaras (€28), eyeshadow palettes (€49) and single shadows(€25), all dressed by Elbaz in the most pleasing designs - including hearts, polka dots and stars. It also includes a set of lashes - a first for Lancôme. There is something so cheering and whimsical about these products that I know they'll fill that notebook shaped hole in my heart. Let's have a wee look at some of the other gorgeous designs. Everything is limited edition, so if you'd like a little bit of Elbaz in your life, I'd move fast. What do you think - are you a fan of fashion/beauty collaborations? Oh...I think I'm a fan indeed! These packaging are too cute. Love the packaging design & the colours in the palette look perfect! The packaging is so pretty. Yeah I'd take these over a notebook for 50 cuid. Ah I love the look of this, def going to try nab a mascara! You are so lucky! I have definitely been looking forward to the collection and will have to try Hypnose! How cute! I love Hypnose mascara by the way! Oh my gosh, I have to have this collection. I am in lust! such a cute line!! Love the packaging! This entire collection is just so cute! The packaging is just so cute!